Professional popcorn provisions for your event. We will make crisp fresh popcorn at your event and serve your guests. Book Pre-popped corn and hire a popcorn warmer. Perfect for Movie Nights & Parties. You man the warmer yourself and serve/sell to your guests. Popcorn for Theatres, Hotel & Resorts, Entertainment Venues. Lease a warmer and schedule regular deliveries of popcorn and service supplies. 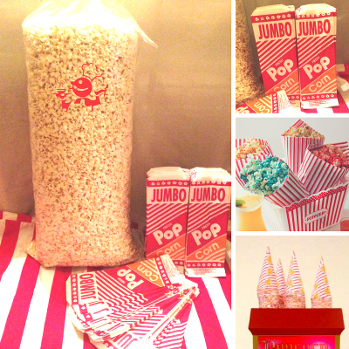 We love this online Popcorn Game - Give it a Go!